Google Reader is going the way of the dodo bird, and you need to find a replacement RSS Reader. 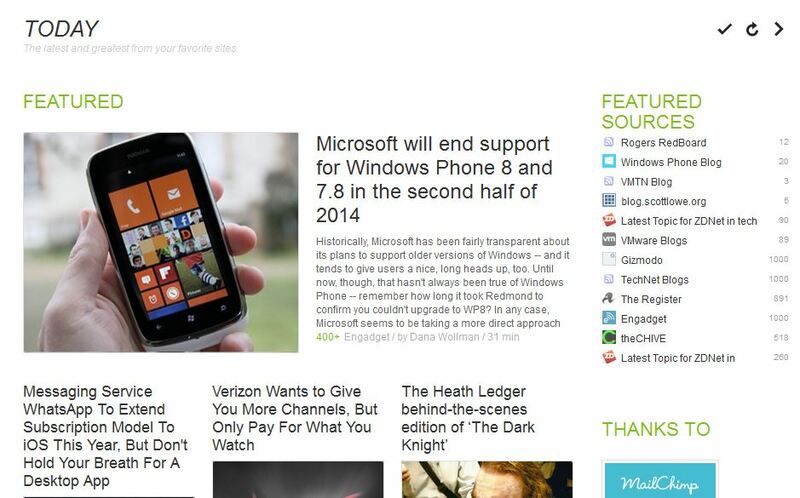 I did a little bit of research and the best overall RSS reader I could find was Feedly. Feedly lets you import all your Google Reader feeds into its databases and works on Android, iPhone, and hopefully be working soon for you BlackBerry 10 users. Feedly (on a PC) only works with Firefox as an add-in, but it works quite well. We can safely assume that it will be available from “any” browser in the near furture. The Android app is very customizable, looks, and drives nicely. The inclusion of a night mode can be found under advanced options and works well to balance black and white text, while keeping content perfectly readable. You can also “remove clutter” which pulls out just the text for you to read. Feedly has seen a surge of 500,000+ users since Google made its announcement that they were stopping production and availability of Google Reader(probably the worst thing Google could have done). What are you thoughts on Google Reader being wiped out? What about Feedly? Do you like it?